Courtesy of Hawaii 5-0 Properties, Inc. 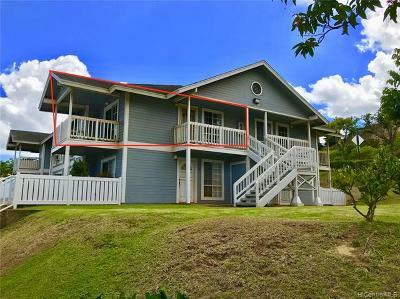 These townhomes are located off of Panana Street in upper Makakilo. 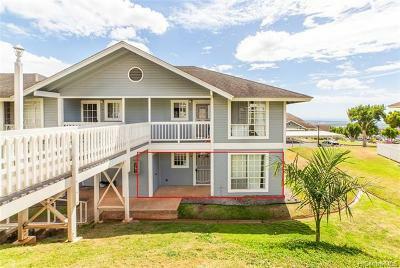 Contructed in 1991, Makakilo Cliffs townhomes are two bedroom, two bath residences with two parking stalls. Average interior area of the townhomes is 760 square feet. Upstairs units have 70 square foot lanais. Downstair units have the lanais plus fenced in yards. Makakilo Cliffs is pet friendly. 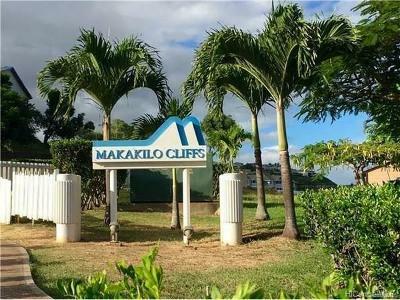 Makakilo Cliffs townhomes have spectacular views. Depending on the unit location, residences view the ocean, mountains, Honolulu and Diamond Head. The grounds are beautifully landscaped, providing a tropical atmosphere. Another great thing about this neighborhood is that there aren't a lot of cars passing through since it's near the top of the hill. For shopping, movies and dining, a short drive down the road will bring you to Kapolei. Pickup groceries at Safeway, prescriptions at Long's Drugs, or have some fun in the water at Hawaiian Adventure Park.